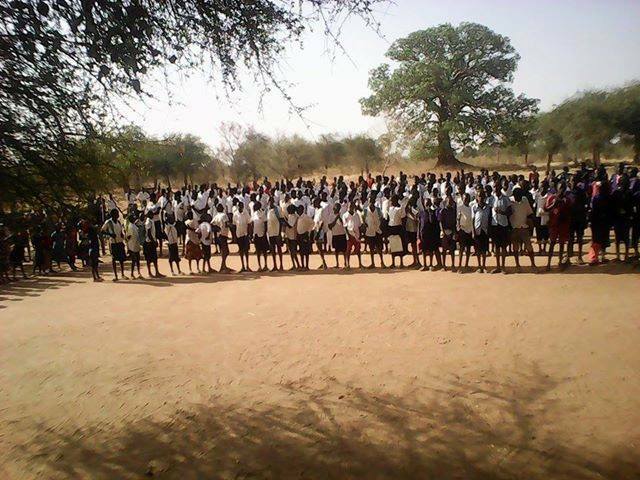 Come and help Timpir provide education for over 1300 students at Wäramoth and Mabok Primary Schools in South Sudan. 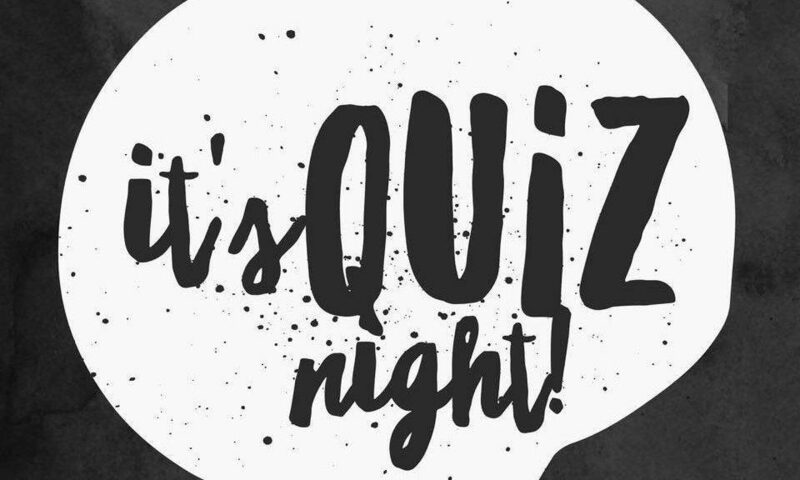 Get together a table of 8-10 (or come by yourself and join a table, we have half-tables already booked) for a night of fun, entertainment and great prizes at the Timpir Quiz night. RSVP via our Facebook event page: https://www.facebook.com/events/608478246212350/ or call us on 0422 816 840. Timpir’s Educate a Child campaign has become a Raisely campaign. If you believe in the power of educating ALL children, please SUPPORT us! Timpir would like to raise $6,000 for 3 teachers’ salaries, to keep our growing schools running in South Sudan. To keep the schools going we need to be able to pay our teachers for their work. Timpir’s schools are growing and this has put increased pressure on our funding to continue the schools. Our goal is to raise $6,000 to cover the cost of 3 teacher salaries. Each teacher salary costs $2,000 per year. Timpir was established in 2005 by Mel and Kuol Baak who passionately believe that education is the most important basis for development in the new nation of South Sudan. Kuol was a former child soldier and refugee from South Sudan who still has strong links to his home region. Mel has a PhD in education which fuels her commitment to improving access to education for all. Since then Timpir has grown enormously with the support of Australians who believed in us and our vision. We have a dedicated and passionate team both in Australia and on the ground in South Sudan. 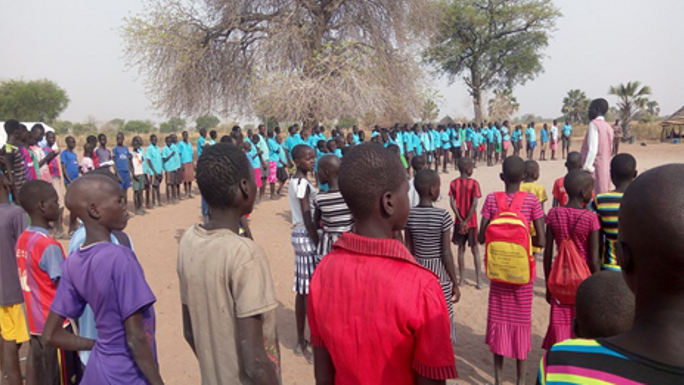 Timpir’s main projects focus on supporting two schools in South Sudan. We have over 1300 students enrolled and 16 teachers employed over two schools. ​How Can You Help Us? 1. Donate towards our campaign. This is a simple way to make a real difference. $160 pays a teacher’s salary for an entire month. But even your spare change will help out. 2. Share our story with your friends and family. Share our story on facebook or email. 3. Hold your own mini-fundraiser or crowdfunding campaign. In the past some of our Timpir supporters have held fundraising events such as morning teas, dinner parties, classroom fundraisers and personal challenges such as running a marathon. Alternatively, talk to your workplace about them becoming a corporate sponsor. Please contact us for fundraising kits. One of our inspiring founders can speak about Timpir and our work at your event. Henry is a Board Member of Timpir who had both hips replaced six/seven months ago. Henry is looking for your sponsorship as he attempts the return Waterfall Gully to Mt Lofty Summit trail on 23 July. To support Henry’s Hike Against Hunger please go to www.timpir.org/donate for details and don’t forget to let us know at admin@timpir.org so we can add your donation to the crowd funding campaign! 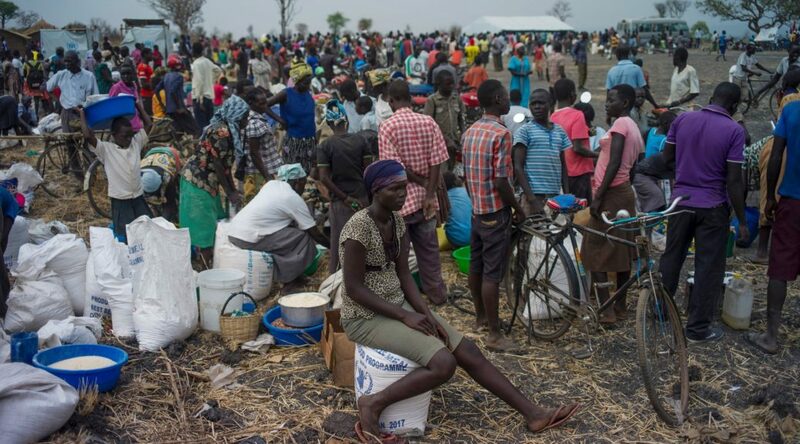 Right now South Sudan is experiencing a severe food crisis. After a poor season last year, the cost of food has risen astronomically making it extremely difficult for families to keep their children in school. Timpir has learned that keeping kids in school is the best thing that can possibly be done to ensure that they have a brighter future. By supporting Timpir’s school lunch programme you can be directly responsible for keeping a child in school through the most difficult period of the famine. The food programme will prevent girls being married off to alleviate the famine for their families and enable them to stay in school longer through more educational opportunities. Boys are also at risk of being removed from school to help provide for their families during the famine. Timpir is running a school lunch programme for students for June, July and August. Its goal is to raise $16,000 to cover the cost of food for all 1300 students at its Mabok and Waramoth schools. There are very minimal admin costs. 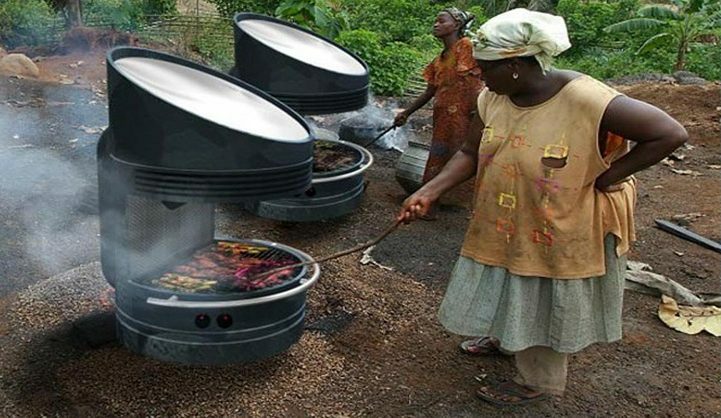 Timpir’s local Aussie team generously offer their time for free and mothers in the school communities volunteer to cook the food. Timpir has a dedicated and passionate team both here and in South Sudan who ensure your money goes directly to the schools and lunch program. A donation of just $100 helps Timpir cover the cost of food for 1 school for a day. But any bit helps! For the price of a cup of coffee you can cover the cost of one student’s lunches for an entire month!! Please tell your friends, colleagues and family about the famine and how they can help! Change a child’s life today. Timpir’s School Lunch program on Chuffed.org: https://chuffed.org/project/timpirs-school-lunch-program is aiming to raise $16000 in the next 3 months to support Waramoth and Mabok schools through this period. Please go to www.timpir.org/donate for details and don’t forget to let us know at admin@timpir.org so we can add your donation to the crowd funding campaign! Timpir is delighted to now be able to receive tax deductible donations in Australia, the US, UK, Netherlands and European Union. There are a number of ways in which you can make tax deductible donations in Australia. You can donate using credit card through the secure website www.gdg.org.au/GiveToJ943N . You will need to set up your own log in details and profile which will enable you to make a one-off tax deductible donation or to set up regular tax deductible donations. I will provide the other donation details via email and Timpir’s website. At the moment our schools are desperately in need of new blackboards. 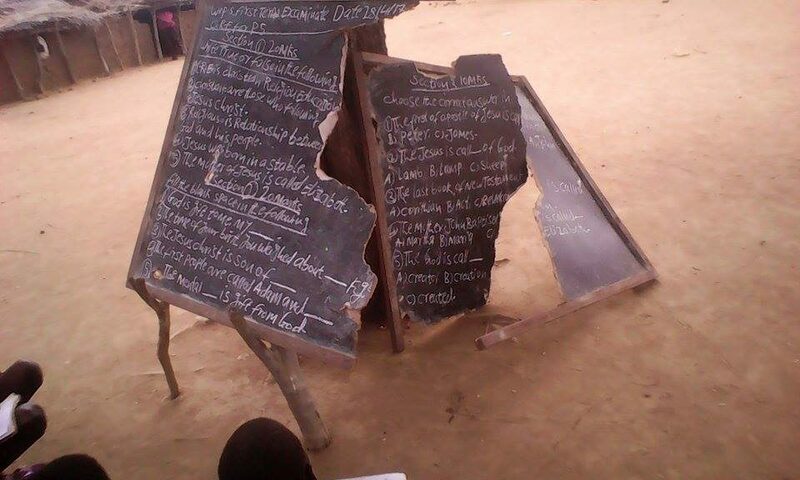 For only $100 you can provide a blackboard for a classroom. In addition, we will shortly be starting a school lunch program at both schools to help students who are severely undernourished as a result of the current famine in the region. So we would greatly appreciate any donations towards the food program as well. What an exciting day for Timpir. Not only are we able to finally receive tax deductible donations, I have also received 14 photos taken at Wäramoth primary school and sent direct to me via messenger by Wäramoth’s head teacher, Tong Ayei. Wäramoth Primary is doing absolutely brilliantly, with it’s regular 8 teachers now teaching over 700 students in Years 1-8. This year we have over 50 students in Year 8, including 20 girls, which is a testament to the quality of the teaching. As you will see from the photos, Wäramoth Primary is in dire need of further assistance. The blackboards desperately need replacing. For about $100, you can help purchase a new blackboard. Our tax deductible donations page is now up and running, you can donate through our Donate page. We are raising as much as we can to support our fundraising, and we need your help! 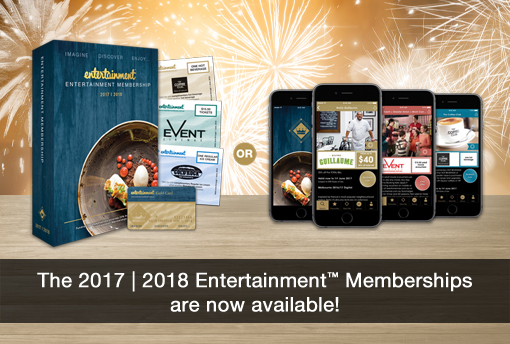 Order your NEW 2017 | 2018 Entertainment Book or Entertainment Digital Membership now. You’ll receive hundreds of valuable offers for everything you love to do, and help our fundraising at the same time!